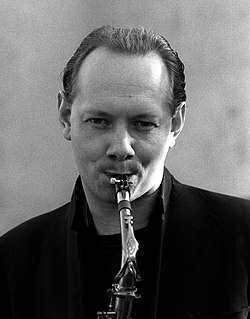 Joe Jackson (born David Ian Jackson, 11 August 1954) is an English musician and singer-songwriter now living in Berlin, whose five Grammy Award nominations span from 1979 to 2001. He is probably best known for the 1978 hit song and first single "Is She Really Going Out with Him? "; for his 1982 Top 10 hit, "Steppin' Out"; and for his 1984 success with "You Can't Get What You Want (Till You Know What You Want)". He was popular for his pop/rock and new wave music early on before moving to more eclectic, though less commercially successful, pop/jazz/classical hybrids.